OilSoup: Sports and Politics Controversy! There is a fair share of politics in sports these days. Whether it's teams or athletes, sports can be used as a platform to express political views. With social media, this controversy has become more prevalent on a daily basis. In the past, news would travel from day to day yet today with the internet, news can travel in seconds. Thanks to social media, people like you and I can see and hear what we want, when we want. There is no control, no policing, no regulation. The social web is one of the few remaining wonders of the world where there is no governing body. Yes the governments have the power to intervene and yes, Facebook, Twiiter and Blogger can control the privacy; but it is in the best interest of these social engines to keep them free. For years the corporate world has suppressed the social media yet today they embrace it. The only concern about social media is with this freedom brings a lack of accountability. There is a fine line between civic pride and extreme nationalism. I write a blog today because of info that I obtained on the social web mere minutes ago. This particular development wasn't mentioned on TSN or Sportsnet; it wasn't reported in the news. In the past this information would have been viewed or heard the next day or even ignored all together. People and Institutions can broadcast their message faster and more efficiently than ever before. Where do we draw the line when it comes to sports and politics. Did soccer team Montreal Impact go too far in celebrating their culture with their home opener in the MLS? That was the only word that cane to mind when I saw this. 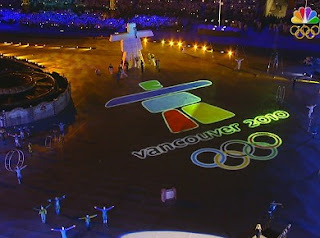 An international sporting event and the Montreal Impact Organization decide to deliver a knock-out punch to Canadians. Clearly the owner has a political agenda, maybe owner Joey Saputo has aspirations to be the next leader of the Bloc. Is he using the Fleur de lis to sell more tickets? I don't know if a political frenzy will result because of this but I will say that I'm tired of this and I'm embarrassed that American soccer fans have to see this! Are we any different in Alberta, is it nationalism or civic pride that is on the shoulder patch of the Calgary Flames? You could argue that this is political but I personally believe the shoulder patch is a marketing blunder for a team trying to find it's identity. 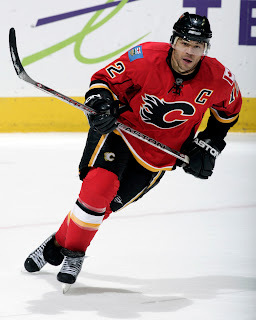 I never did understand and still don't, on why the Flames have the two patches on the shoulder. Are the Flames the only team in Canada or Alberta? The Flames certainly aren't Alberta's team, we all know it's the Edmonton Oilers. 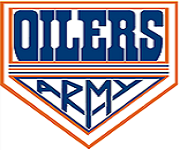 I assume everyone knows this which is why the Oilers don't need to wear the patch. The Flames have one of the worst jerseys in the league and the Flames add insult by clashing the blue Alberta flag with that awful red, black and yellow. Where is the fashion police? What about the greatest sporting event in the world, is there a greater political forum? Going back to the existence of the Olympics, there has been world defining moments. Under the circumstances the Olympic body does an admirable job on focusing on the sports and athletes and less on the babbling buffoons in the political world. I am curious to think of what political and nationalistic objectives the extremists of Quebec will try if the Olympics ever choose Quebec City. Even as Individuals, Athletes now have a bigger forum to preach their beliefs and political views. 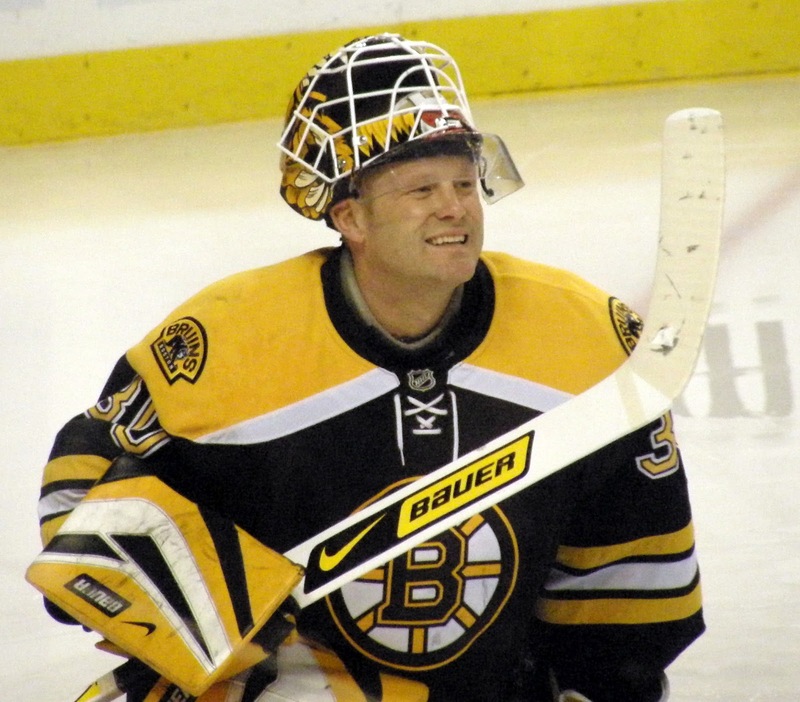 Believe what ever you want, Tim Thomas knew exactly what he was doing. He had numerous occasions to express his views but waited for the opportune time to do it. He has the gall to ridicule the Presidency with little regard to his team, league and sport. The incident did have it's moments, I particularly loved the interrogation by the media. Thomas's pathetic stance on the freedom of speech, where his actions didn't deserve any recourse. What I don't understand is how the team or the league didn't reprimand Thomas for his idiocy. I never did understand goalies. In regards to athletes and the media, I will always give athletes the benefit of the doubt. Sports is a passionate and emotional roller-coaster, sometimes athletes act before they think. Institutions on the other hand are calculative and diligent. There is always a plan and believe me, the owner and management of the Montreal Impact have a plan. The more politics is left out of sports the better!